It’s your senior year of high school. Everyone is talking about where they want to go to college, and asking you what you want to major in… but you haven’t applied anywhere yet. You still need to take your standardized test. At Student-Tutor, we get this question all the time. When IS the latest you can take your standardized exams? What’re the official deadlines for the SAT and ACT? In 2016, the latest you can register for the ACT (without being charged a late fee) is May 6th. You would be taking the test itself on June 11th. The latest you can register for the SAT, according to College Board, is by May 11 either on the phone or online. You would be taking the SAT on June 4th. These are the registration and test dates for the SAT and ACT in 2016, but getting in to take the test on time doesn’t necessarily mean you’re in the clear for college. In fact, it doesn’t at all. The whole reason you’re taking the ACT and/or SAT is so that you can submit your scores to your college of choice for admission. Colleges will start evaluating applications before March. In March, most colleges will have decided who they are accepting, and you will most likely hear of their decisions around April 1st. If I’m a senior, is it too late to take the SAT or ACT? 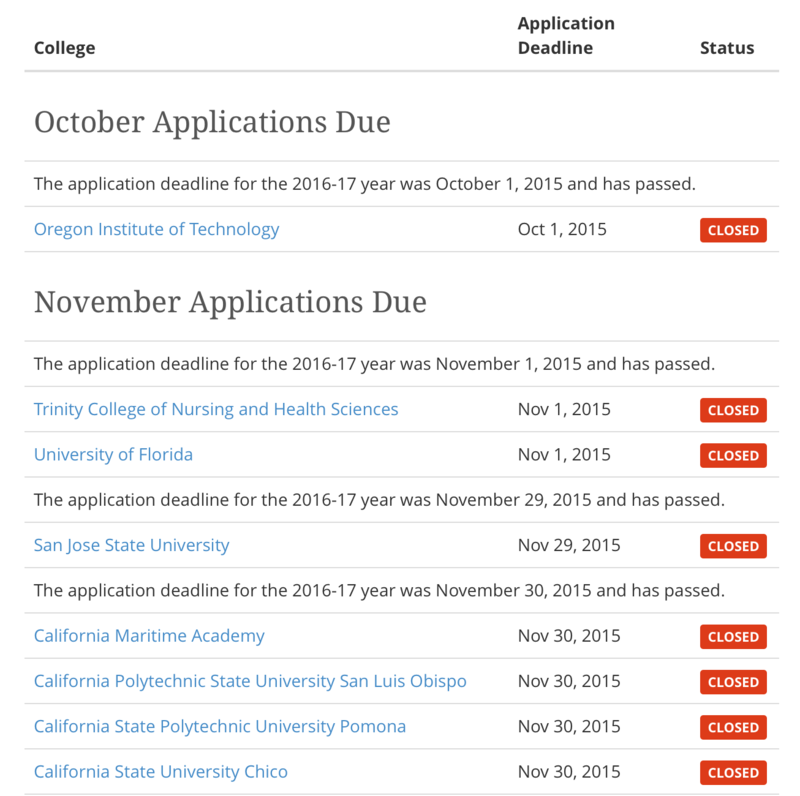 More than anything, you need to know what your college(s) of choice’s application deadlines are. Let’s say you’re a high school senior, and it’s January. In this case, you would have missed over 40 application deadlines to colleges including Cal Poly, UCLA, Berkeley, and UC Davis! College Simply lists the deadline for every college application 2016-17. Now, if you haven’t taken the ACT or SAT, you’re going to need to take it before applying to any college, and keep in mind that you’ll also have to wait to see your scores. SAT score release can be up to 2 or more weeks after the exam. ACT score release can be up to 8 weeks after the exam! If I’m a senior, is it too late to get scholarships? It’s never too late to get scholarships. There are plenty of scholarships that are monthly, weekly, and even daily. However, if you’re looking to score big, the deadlines for larger scholarships are usually in January. The trick is to have your test scores and GPA in order. You need to have taken your ACT/SAT before applying to scholarships that are concerned with these scores. There is a lot of money to be earned through Merit-Based Scholarships, for example. The BEST time to take the ACT and/or SAT is in your JUNIOR year of high school. Your freshman and sophomore years should be reserved for building your GPA and learning the materials needed to excel at your standardized tests. 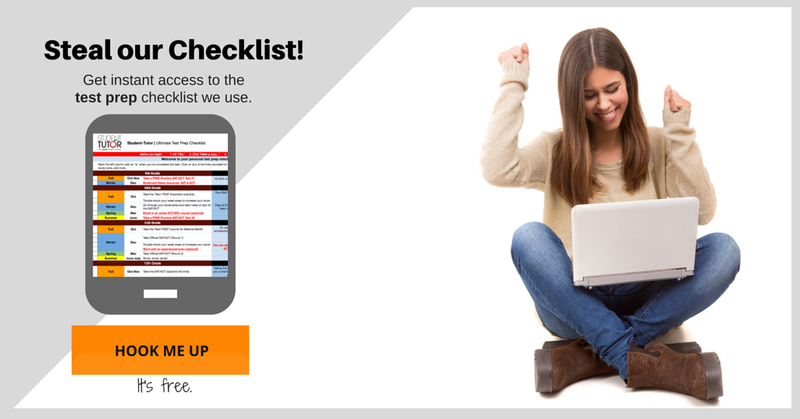 Ideally, you should register for your standardized tests in your junior year of high school. The reason being that you can get a head start on both your scholarship and college applications. In your senior year, you can focus on re-taking the exams to get higher scores. You’ll also be plenty busy with – you guessed it – more scholarship applications, and of course, your college applications! College prep is proactive, not reactive. The absolute BEST way to get big money is scholarships and accepted to college is to plan ahead. Know your dates and deadlines ahead of time and write them down. Plug them into the calendar on your phone, write them in a calendar in your room, or both! You should also speak to experts and get their opinions and advice on what the best approaches will be for your college and scholarship desires. I’ve missed all my deadlines, and my GPA is lower than average. What are my options? If this is the case, it’s time to look at community college. You may have heard the phrase “community college route”. Many students will go to community college in order to increase their GPA and credits, and then transfer to a traditional university. If you ARE going the community college route, this doesn’t mean it’s time to relax. You’ll still need to do some strategic planning in order to make that transfer to another school. So there you have it. The ideal time to take your standardized test is in your junior year of high school. If you haven’t followed this timeline, you’ll need to consider other options! Do you have any more questions about deadlines for the ACT, SAT, scholarships, or college admissions? Let us know in the comments below!